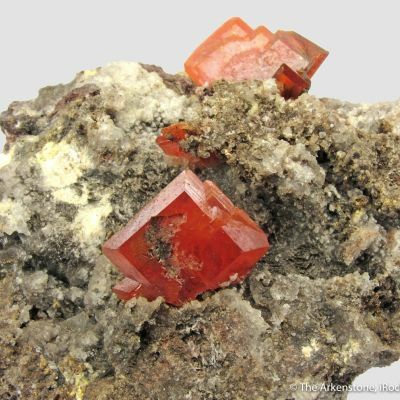 For the location, this is an exceptionally dense cluster of large, colorful, fat Old Yuma Mine Wulfenites. 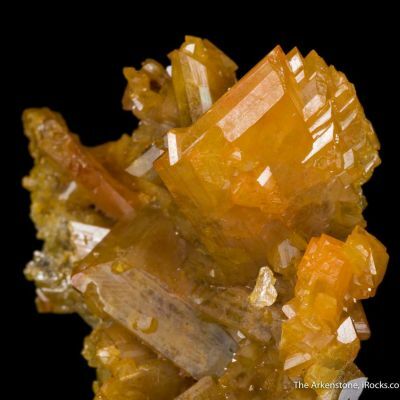 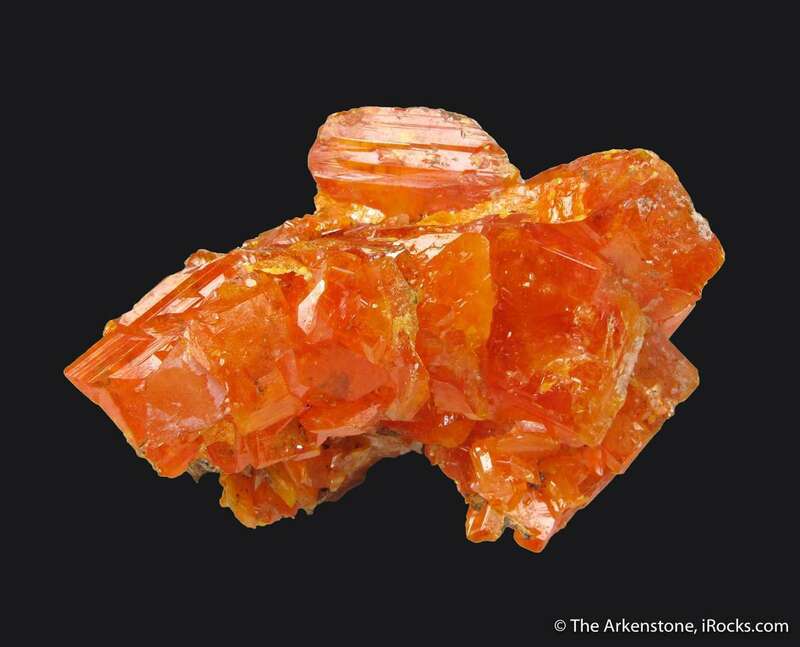 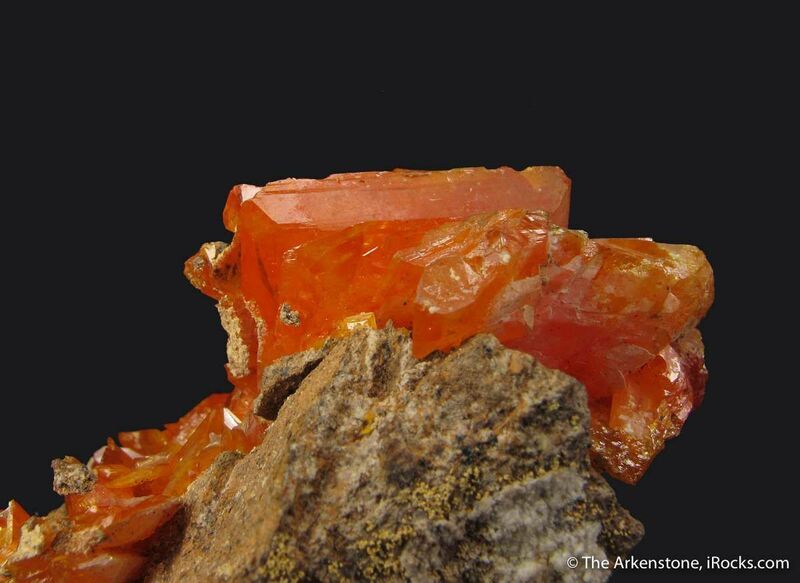 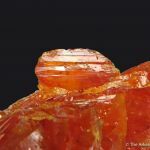 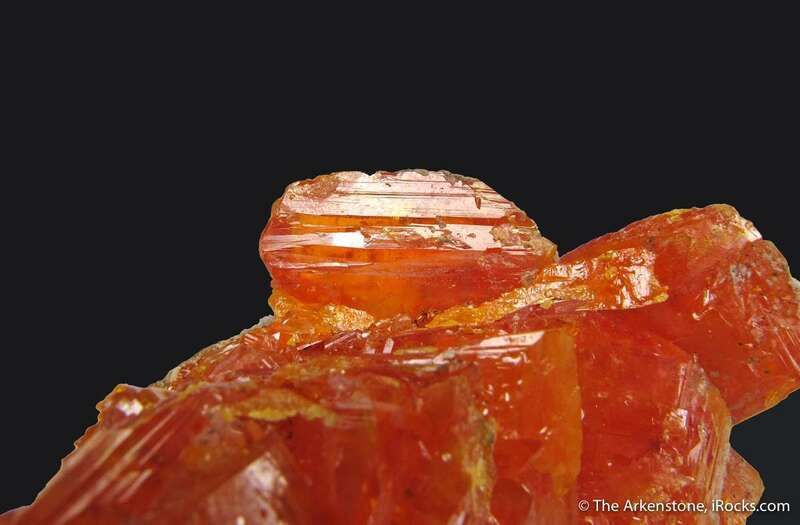 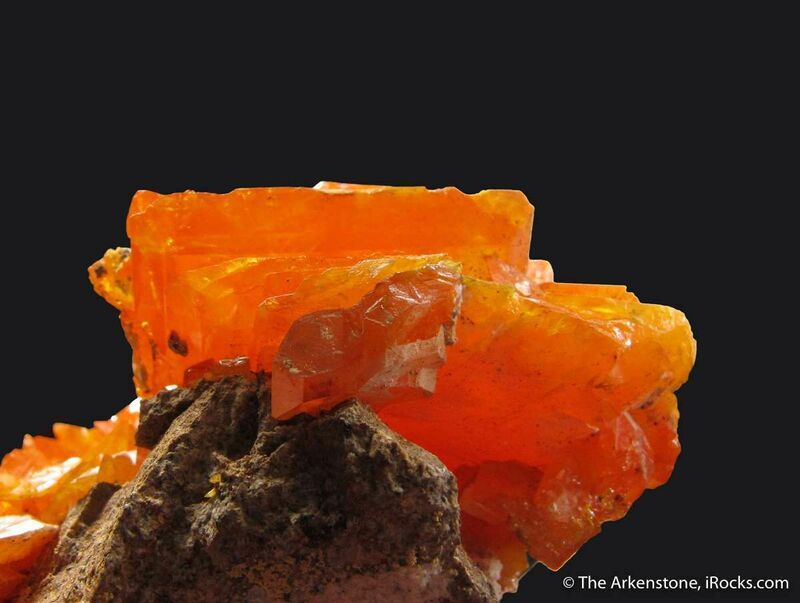 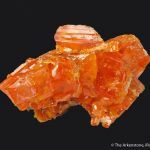 The beveled Wulfenites have superb luster, are translucent, and have an orange color saturation that is quite rich. 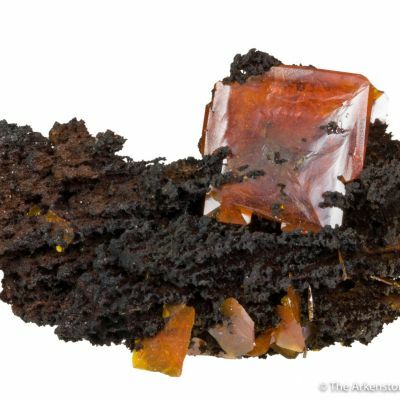 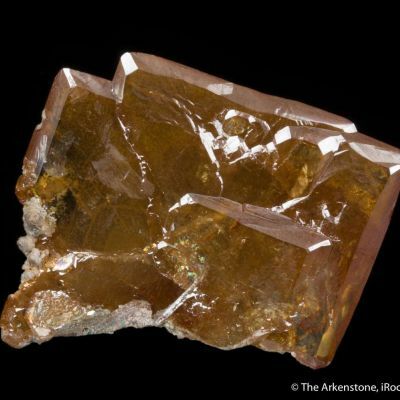 The largest crystal is about 1.9 cm on edge. 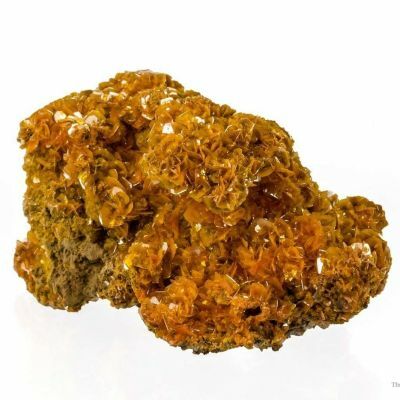 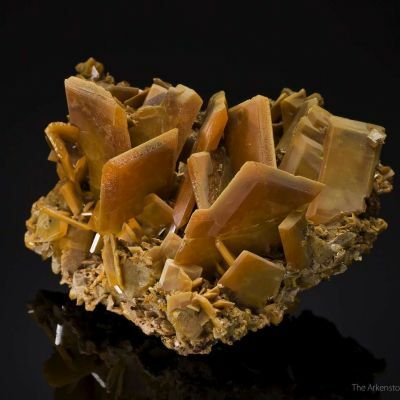 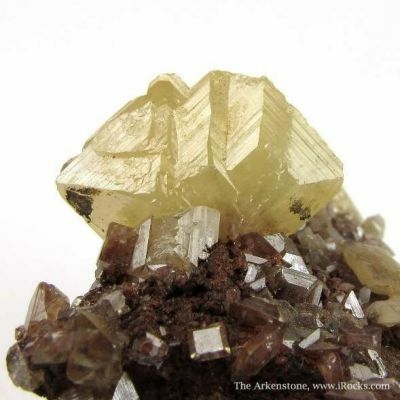 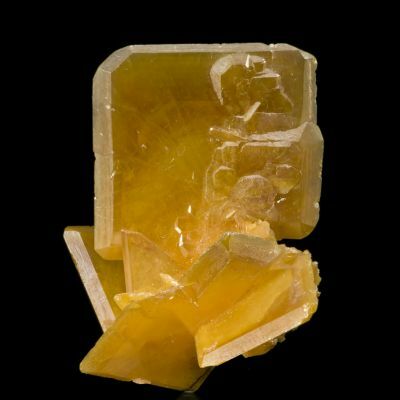 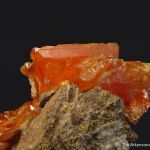 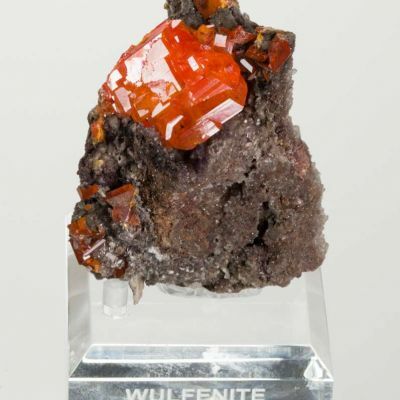 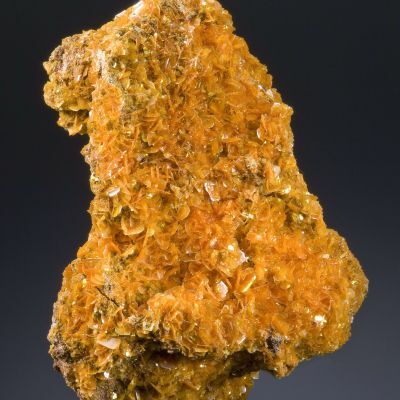 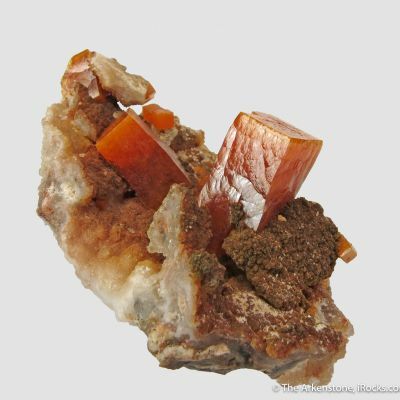 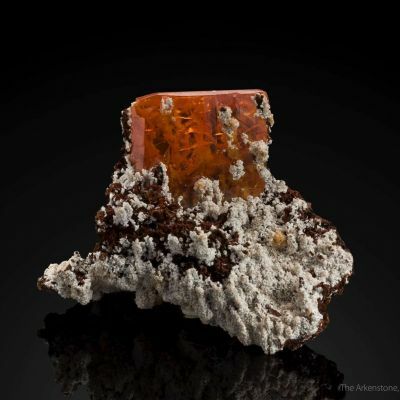 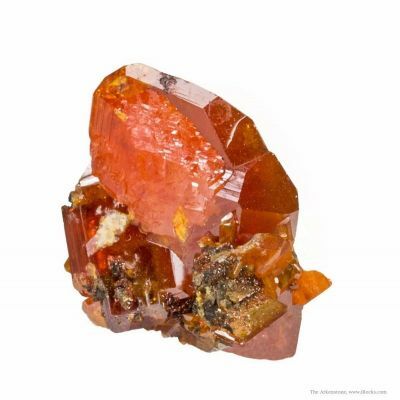 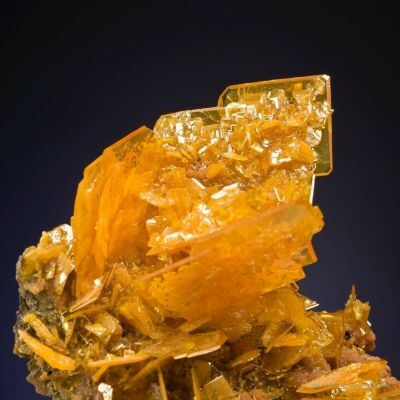 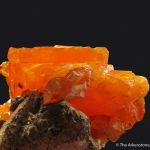 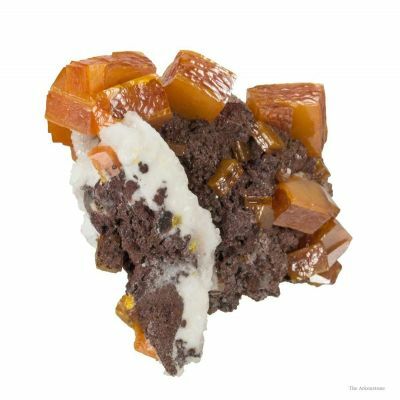 There is admittedly some edge wear, which is typical for Wulfenites, but this is nonetheless a choice, seldom available Arizona Wulfenite in large size and with lots of flash in a display case, so it balances out. 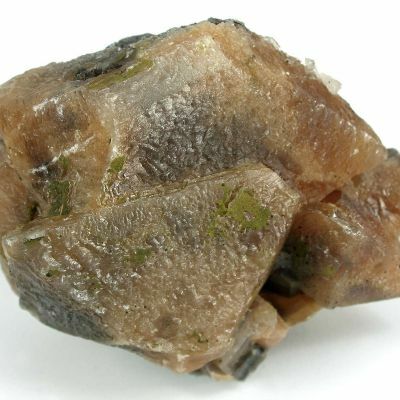 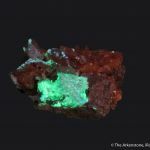 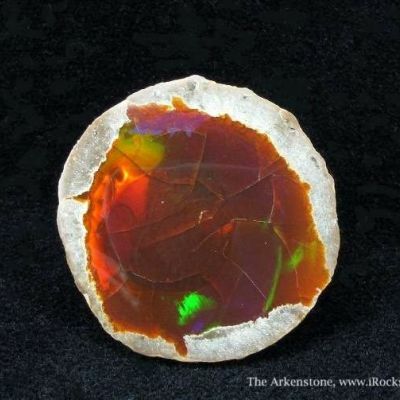 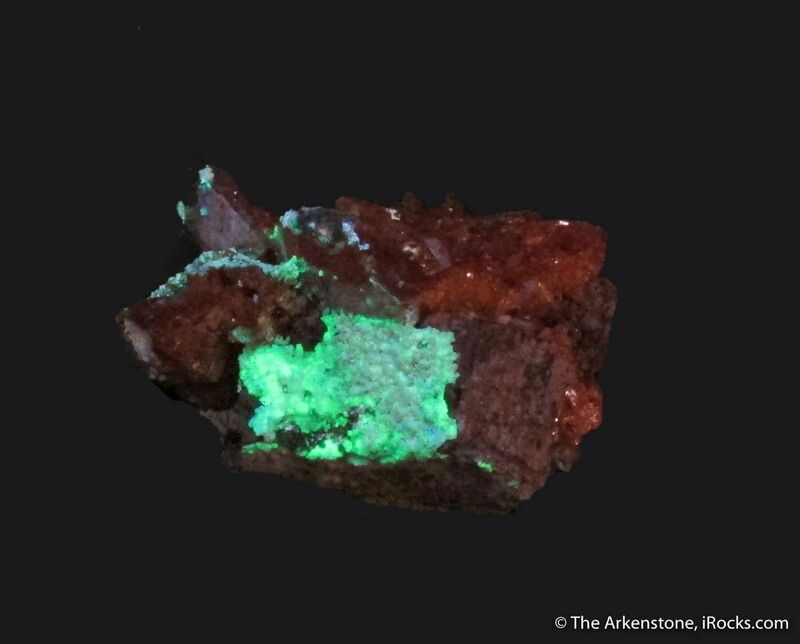 As a bonus, there is some Hyalite Opal, which has its typically outstanding neon-green fluorescence. 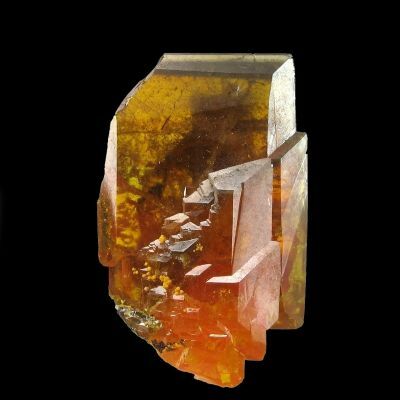 An old specimen! 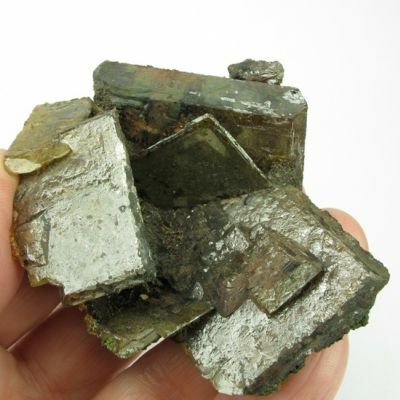 How old, I am not sure. 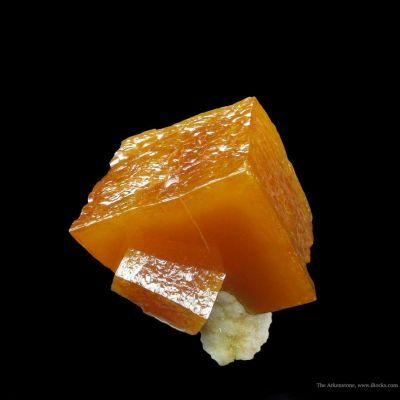 I have only seen such things in museums.